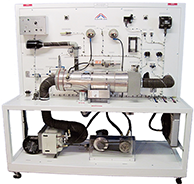 AeroTrain is your one-stop source for aircraft maintenance training equipment needs. 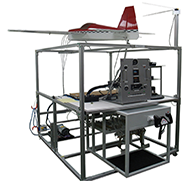 We have sound expertise in developing standard and customized training-aids for aircraft systems training. 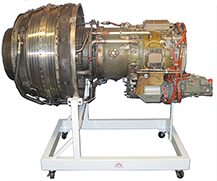 Our expertise includes design and development of training-aids for avionics, aircraft engines, aircraft systems, instruments, and electrical systems relevant to aircraft maintenance training. We have made substantial investments over last eight years in the development of multimedia computer based training (CBT) courseware. Consequently, we have a very wide range of CBT modules that cover almost all major topics taught in a typical aircraft maintenance training program. 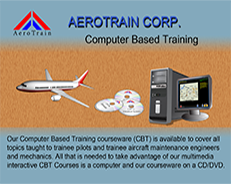 Besides supplying training aids, AeroTrain Corp. also offers consultancy services for the development of Federal Aviation Administration (FAA) part 147 and European Aviation Safety Agency (EASA) part 147 approved curricula for aircraft maintenance training schools. We have recently begun offering our consultation services to universities for the establishment of undergraduate degree programs in Aerospace Engineering, and in Avionics Engineering. We look forward to expanding our customer base and are continuously striving to improve our product quality and capabilities, to ensure on- time deliveries, and to provide excellent after sales support.